30/01/2018 in Brain Injury Group News, News. We’re pleased to announce the agenda for our popular cerebral palsy training day taking place on Wednesday 12 September 2018 in London. We have once again worked closely with medical negligence solicitor, Tim Jones, Legal Director at Enable Law, to put together a programme designed for medical negligence solicitors but which will also be relevant to case managers, health and social care professionals and charities who support people with cerebral palsy. This full day training will commence with an introduction to cerebral palsy looking at the different types, diagnosis, birth injuries, neonatal injuries and risk factors before moving on to neonatal and birth injury specific breaches of duty and causation issues. 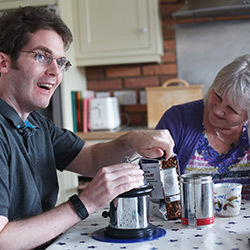 People suffering from cerebral palsy will often have many associated conditions, including learning difficulties, epilepsy, communication difficulties, problems with feeding and vision. The day will look at some of these associated conditions before focussing on the CP Pathway, what it is, and how a child will follow the pathway. A case manager instructed on a cerebral palsy case has a wide and varied role, including liaising with the client, their family and legal advisers, booking therapists, assisting with education issues and arranging practical issues. Independent Living Solutions will be joining us to talk about the challenges involved. The day will finish with a QC providing a legal update on liability and quantum in cerebral palsy cases, including periodical payments vs lump sum settlements and combination claims. This day promises to be an interesting and informative day for all clinical negligence solicitors who already deal, or are starting to deal, with cerebral palsy claims. The full line up of speakers will be confirmed in the coming weeks. The course is limited to just 70 delegates. To book your place please email [email protected] or visit the event page on our website here.